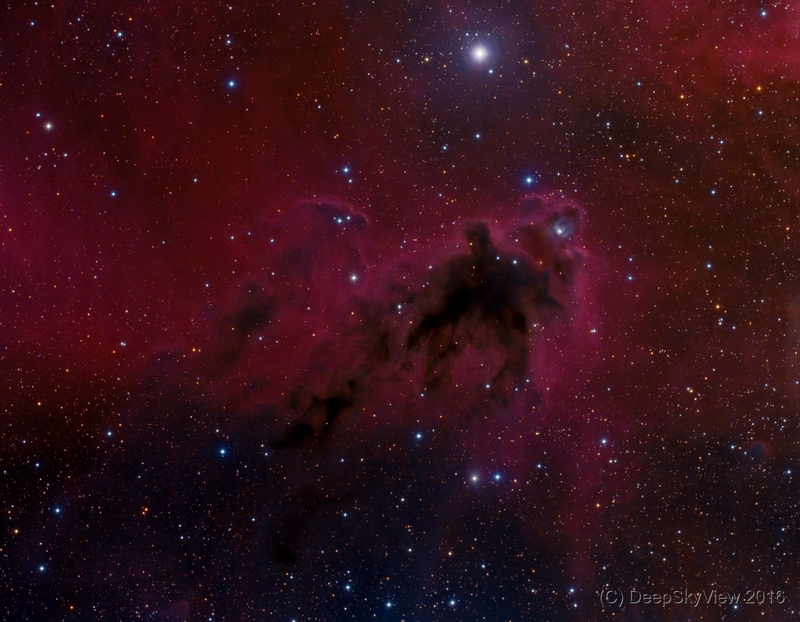 This is a HaRGB image of LDN1622, a striking dark nebula in the constellation Orion not far from M78. It has been dubbed Boogie Man nebula, but there are other more sinister interpretations as well. I used the Ha data together with all RGB to create a luminance channel and combined it with the RGB chrominance information. For the first time I played with MURE denoising in PixInsight, which did work really well.